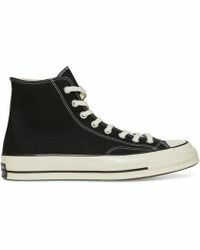 Arguably one of the most popular footwear brands in the world, Converse is worn by men and women looking to add a dose of classic cool to their shoe collection. 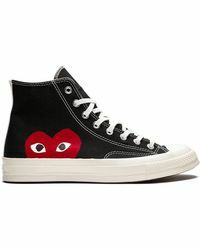 Known for its famous Chuck Taylor All Star trainers, this range remains a brand hallmark. 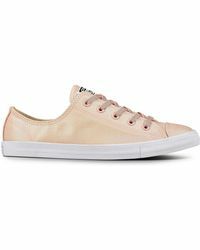 Made in canvas, suede and leather, Converse has expanded to offer everything from high-top trainers to ballet flats with signature brand details.